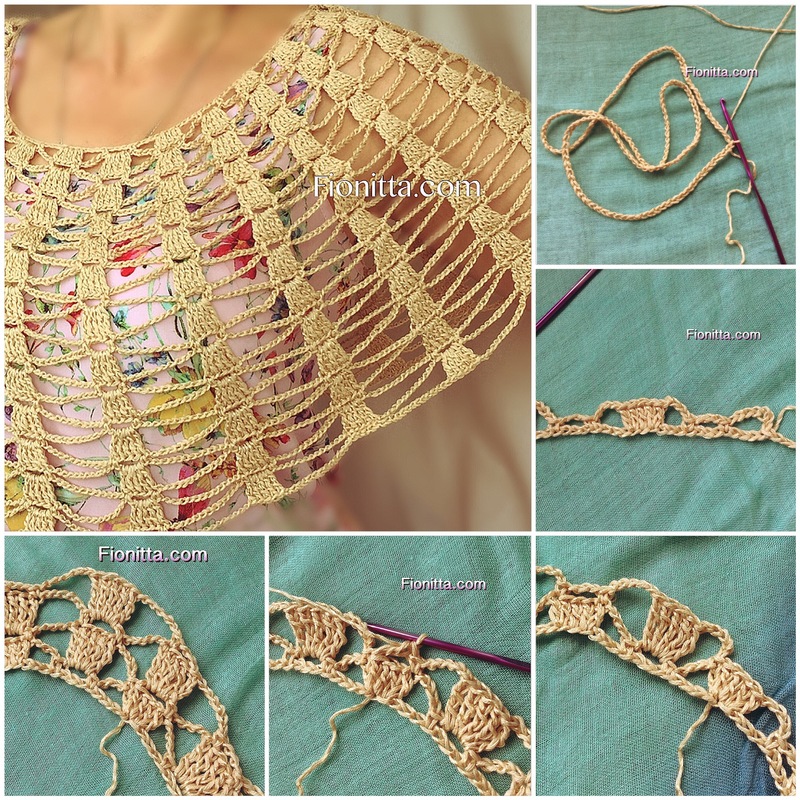 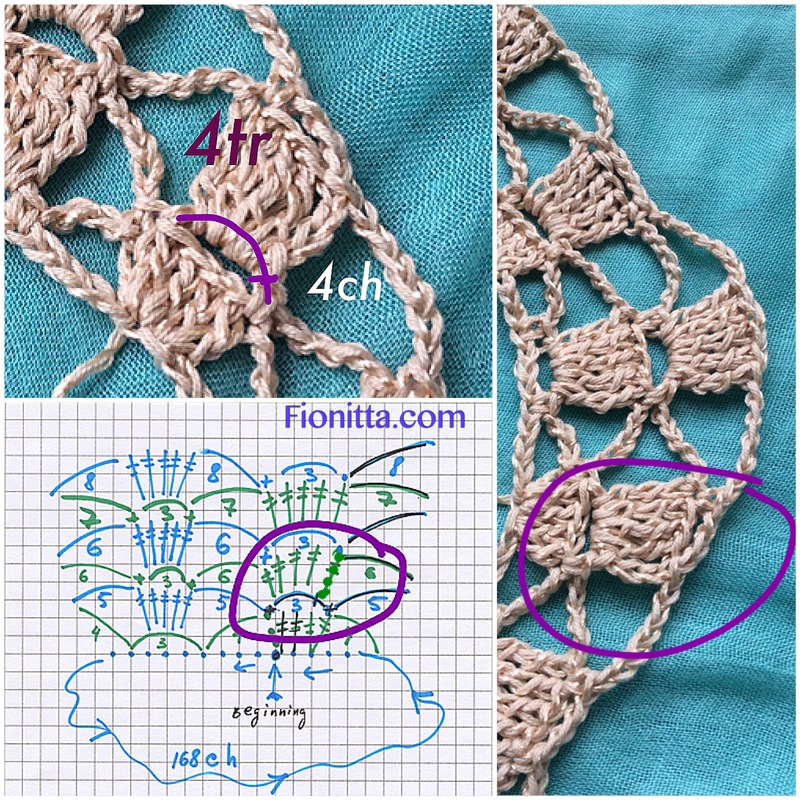 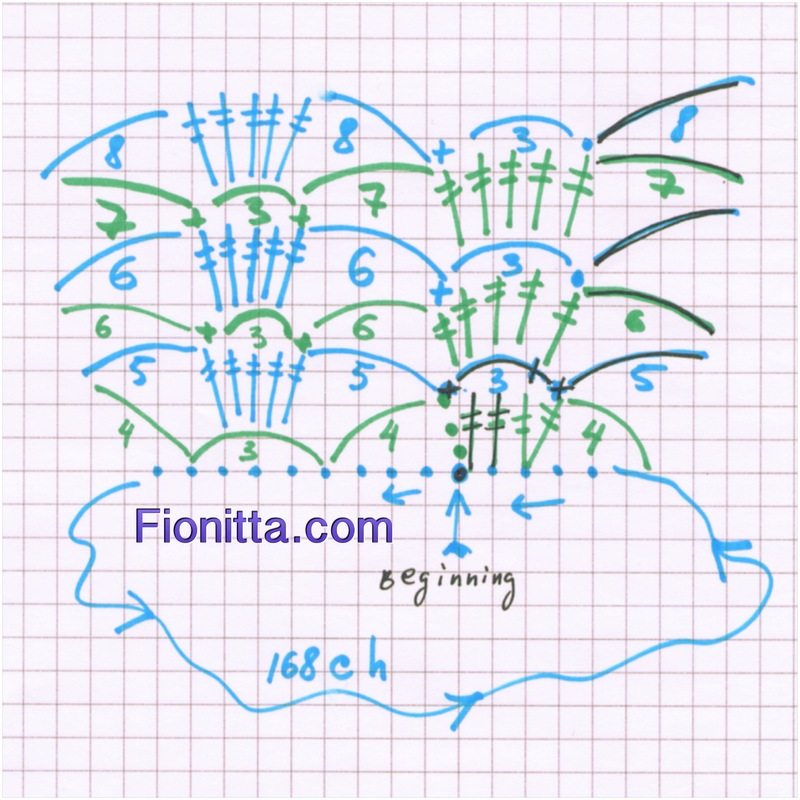 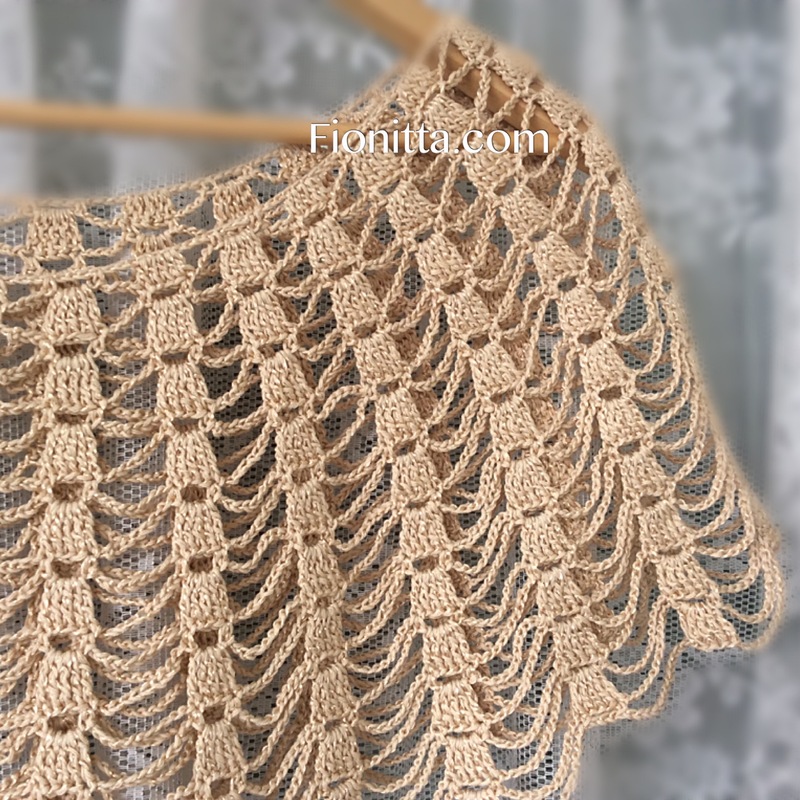 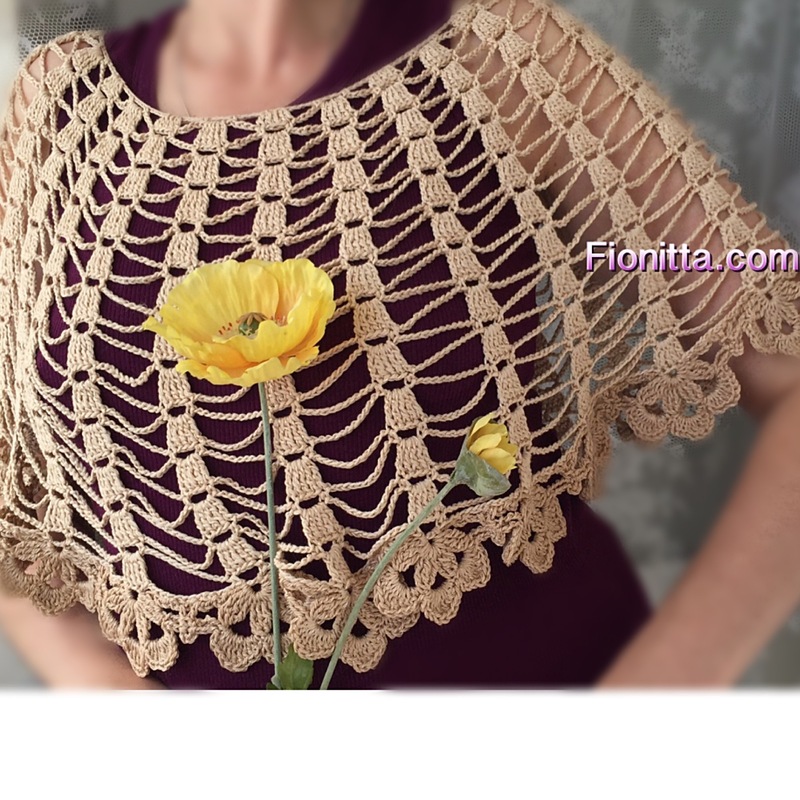 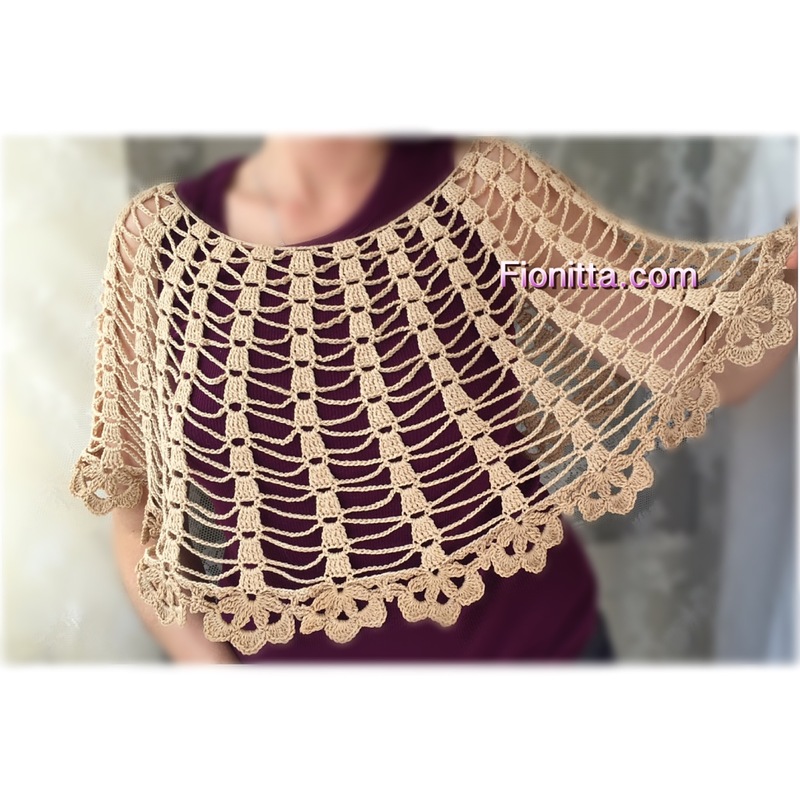 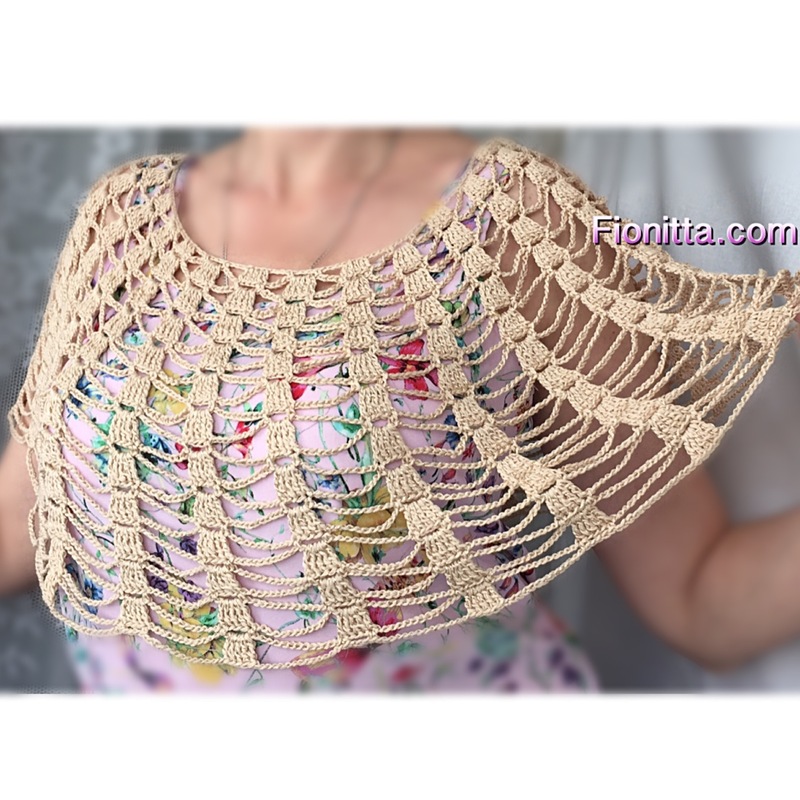 My old crochet work “Summer capes” is an easy crochet project for beginning and it makes a great addition to your summer wardrobe. 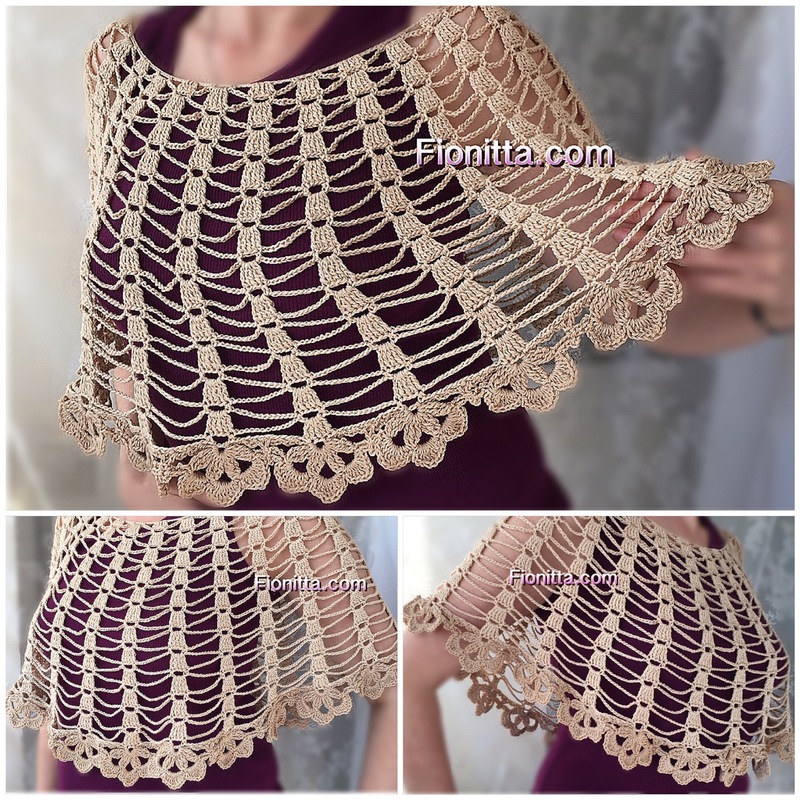 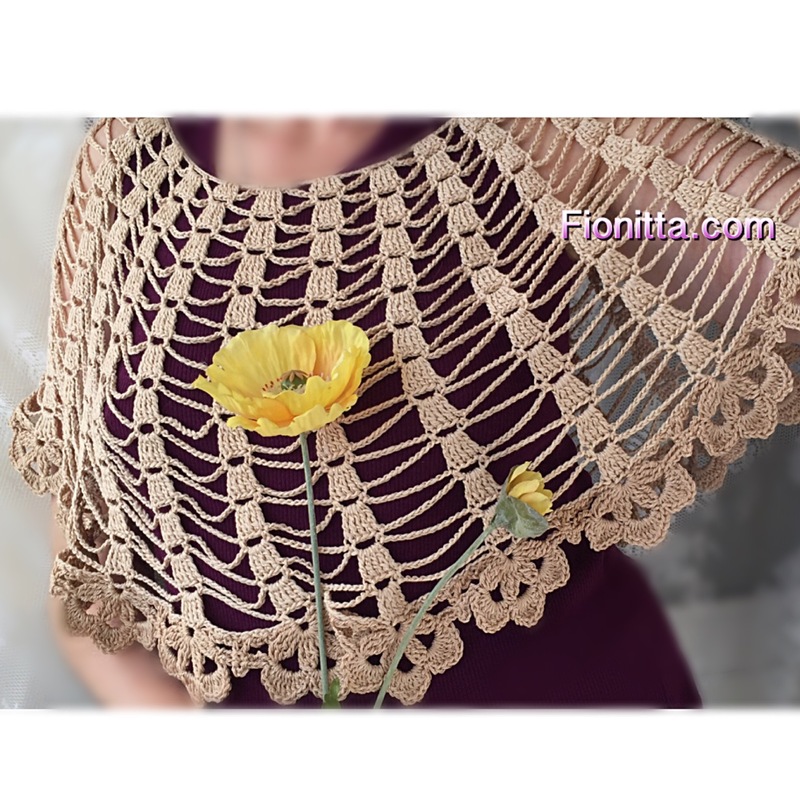 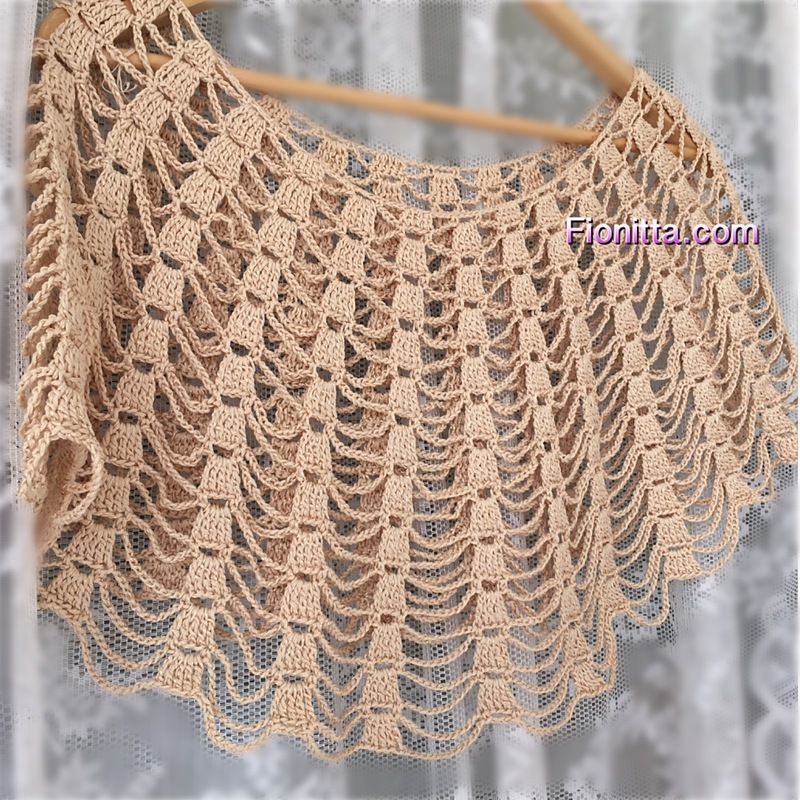 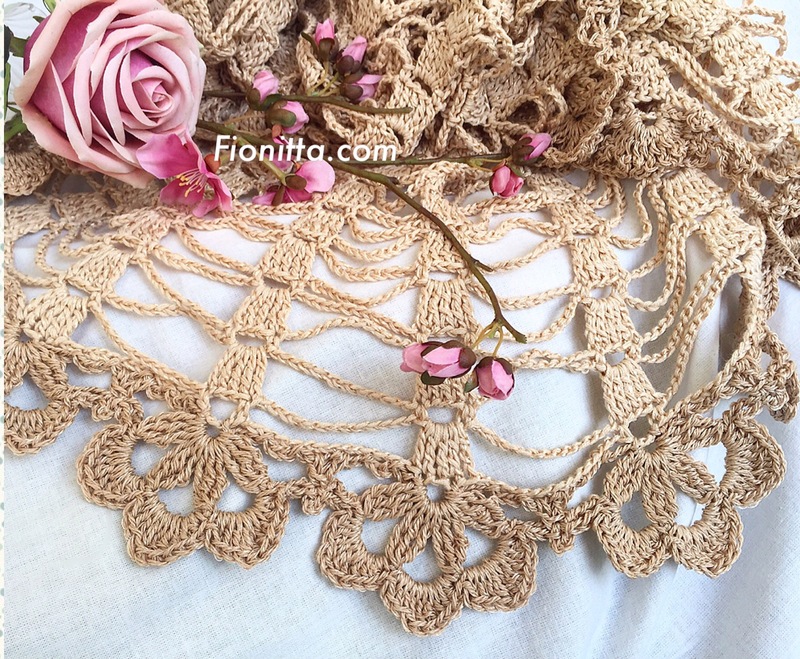 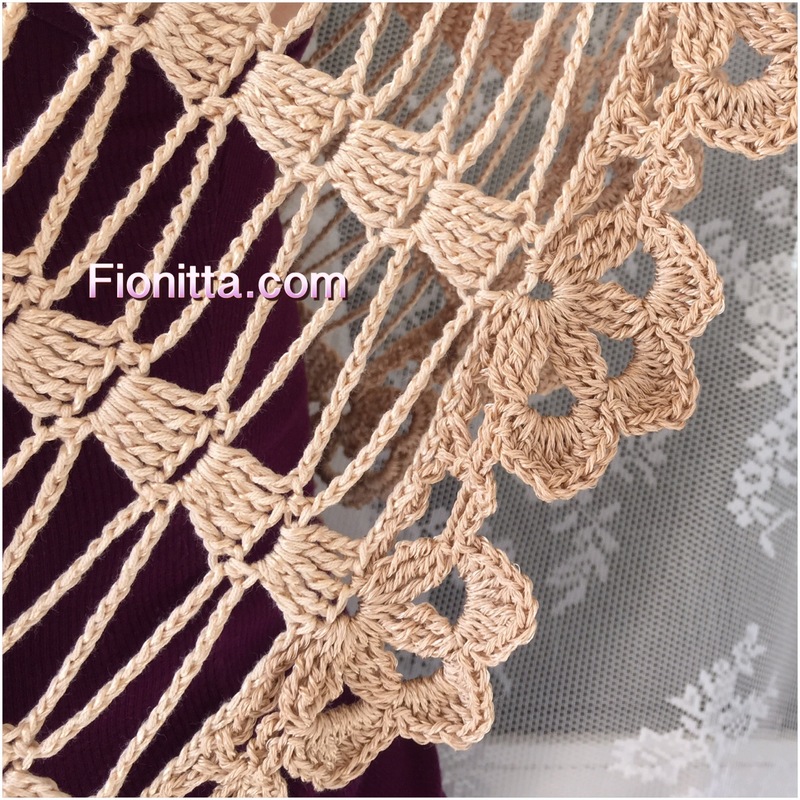 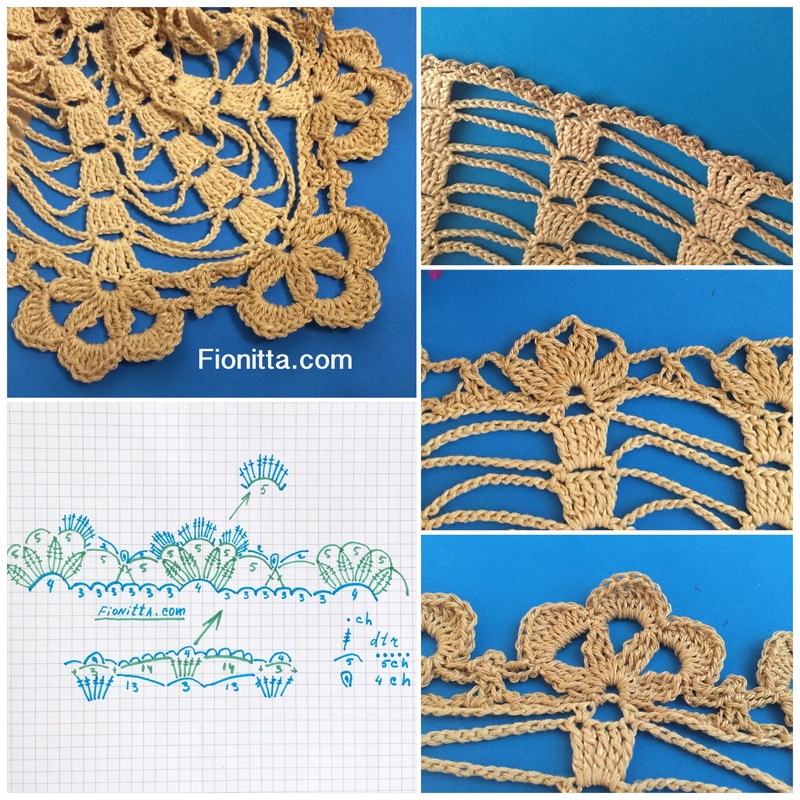 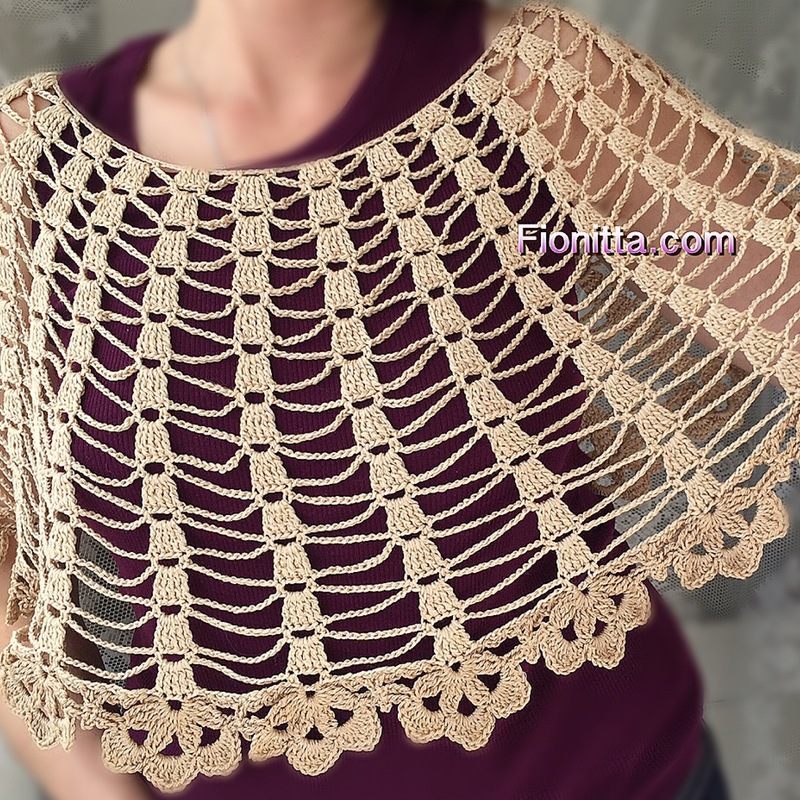 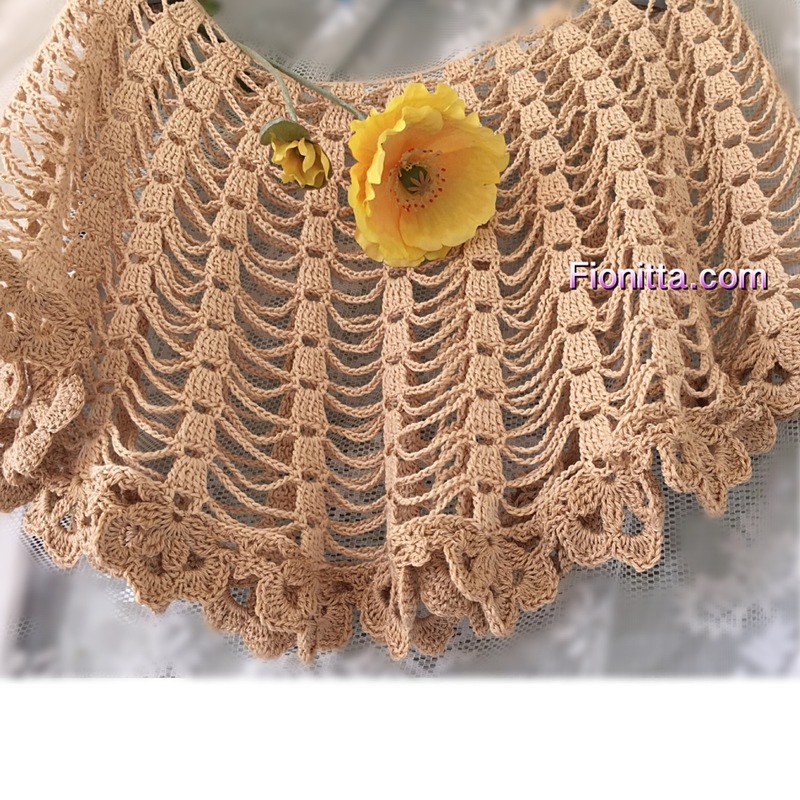 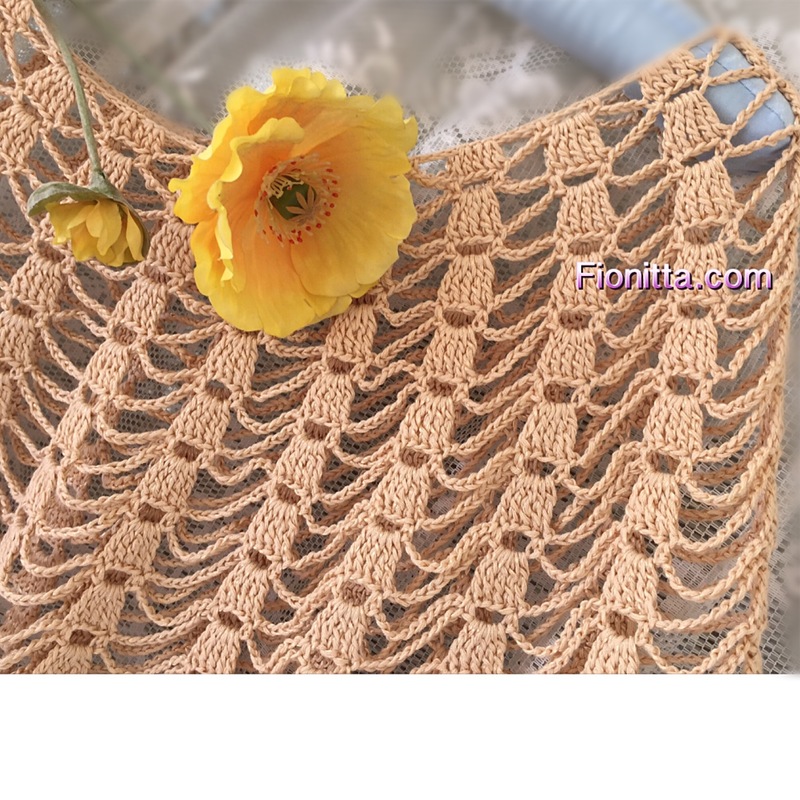 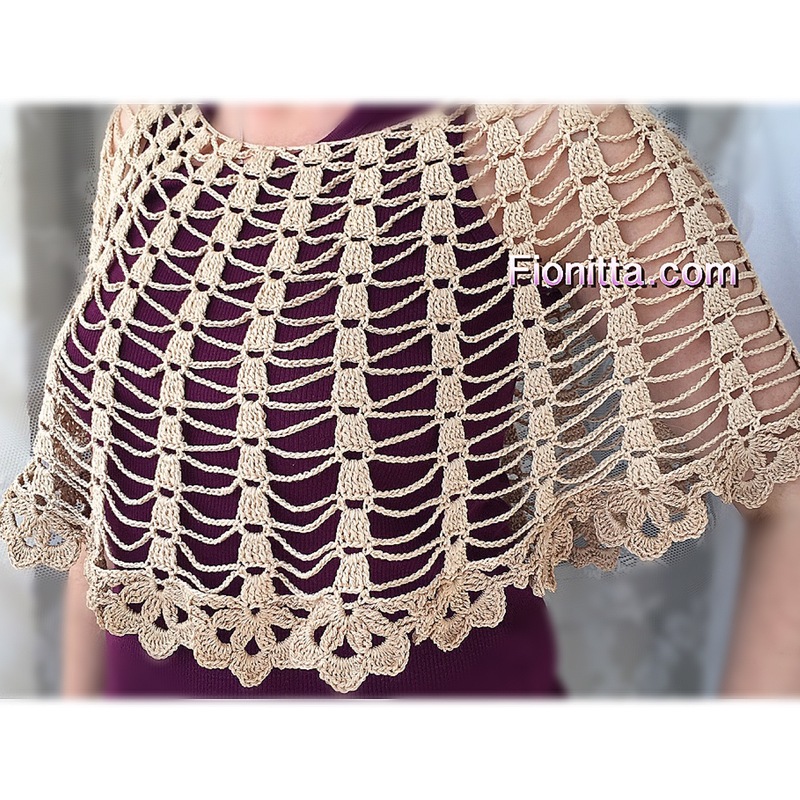 This crochet caplet made by using only one ball of yarn (100g/340m) and crochet hook 3. 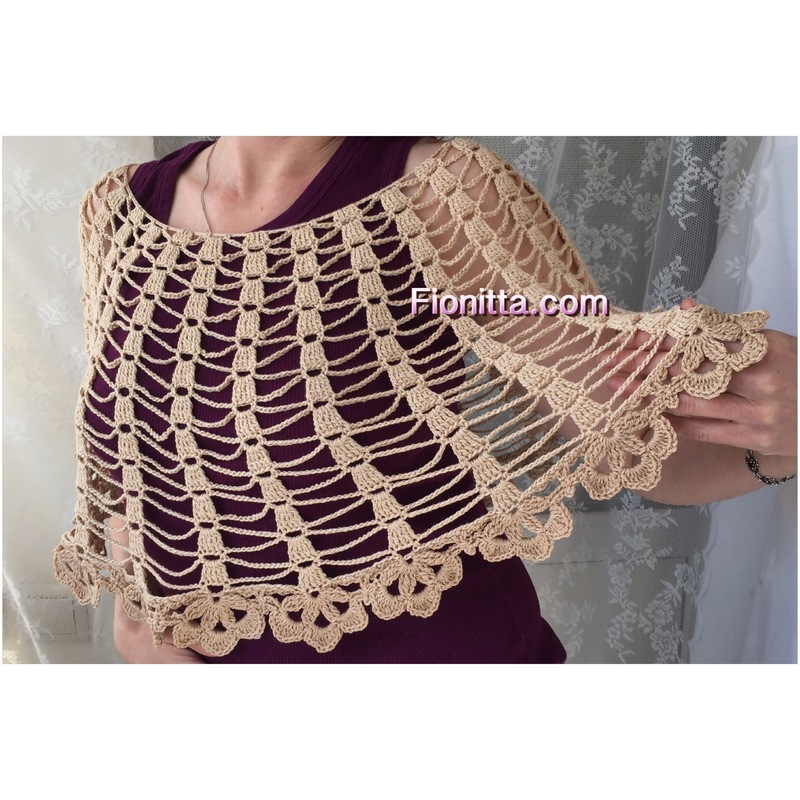 You could add a decorative edge to the cape.